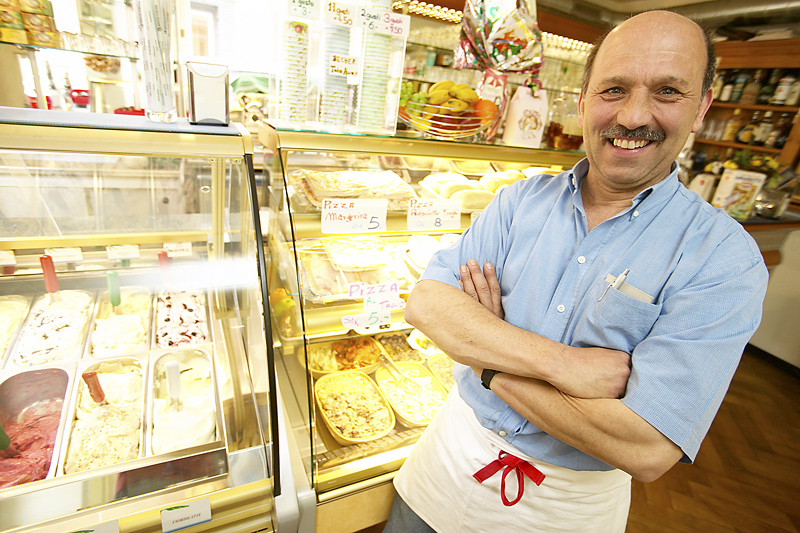 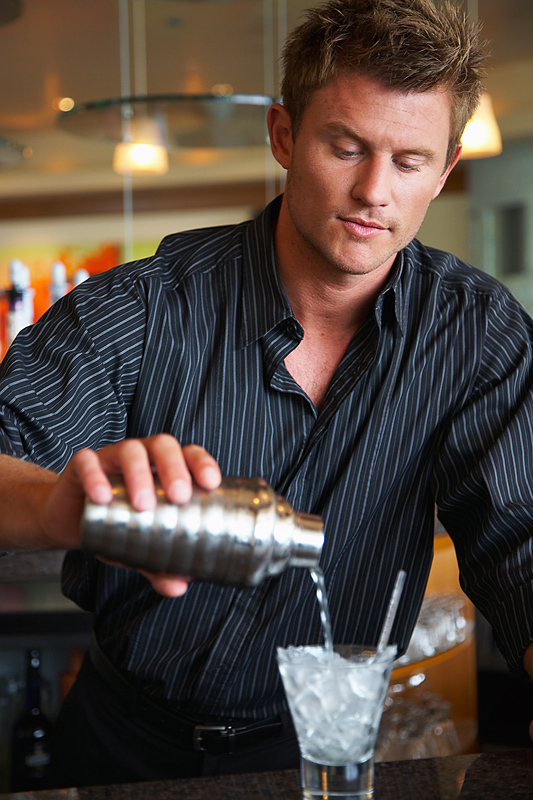 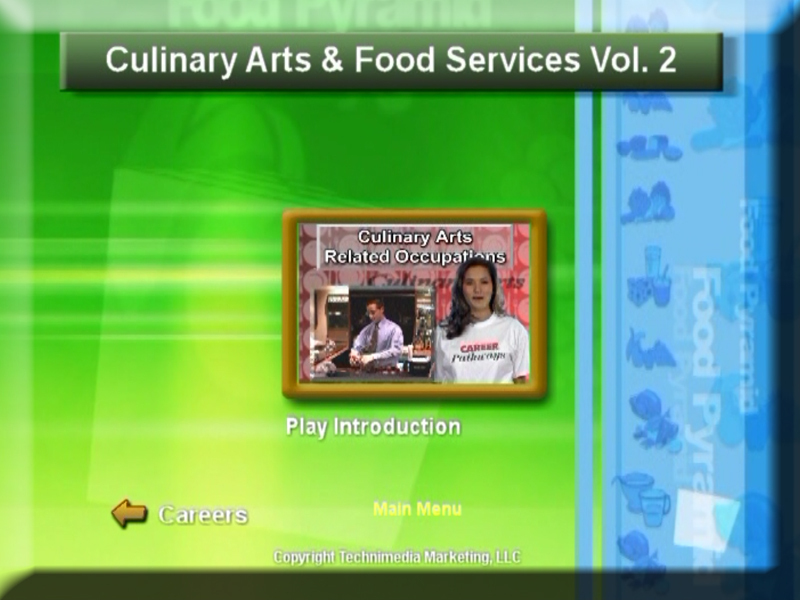 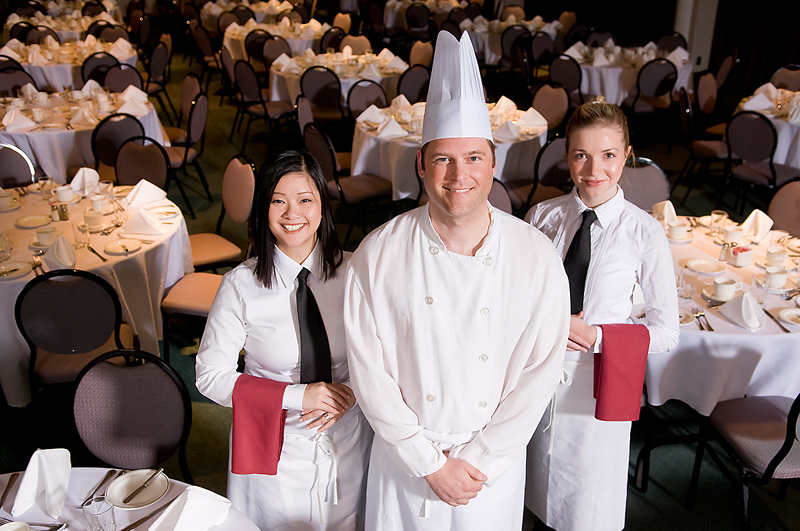 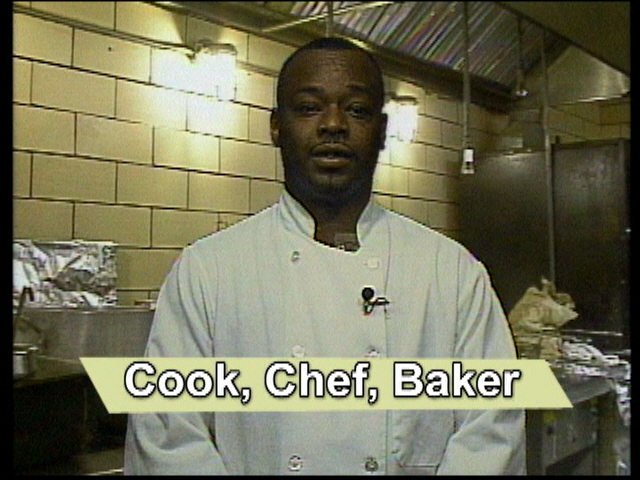 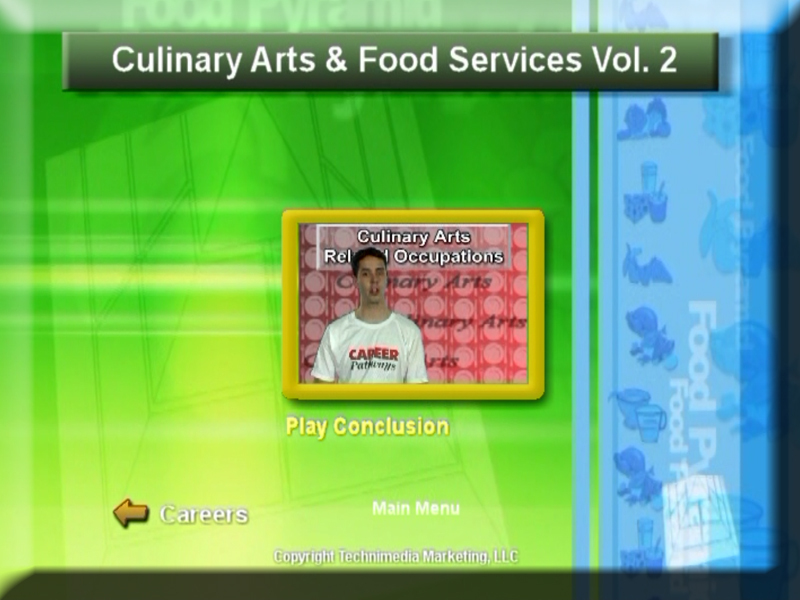 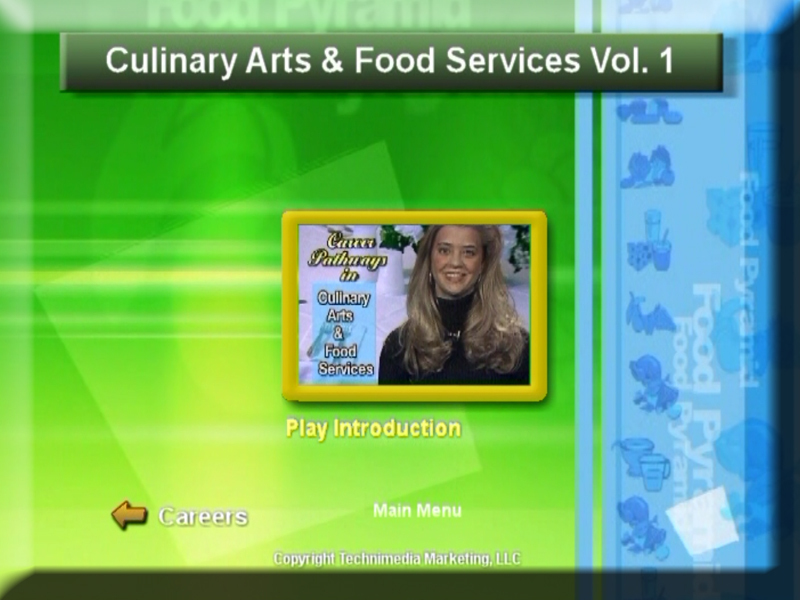 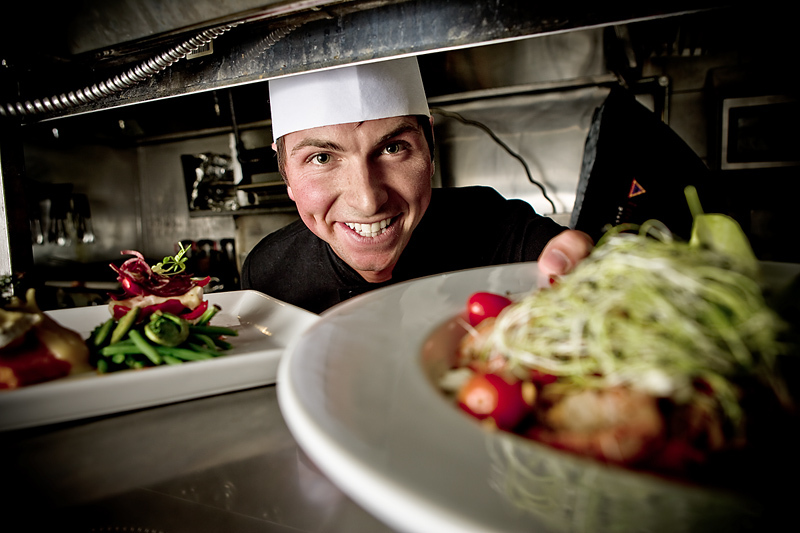 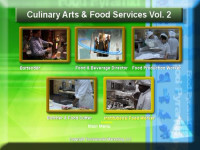 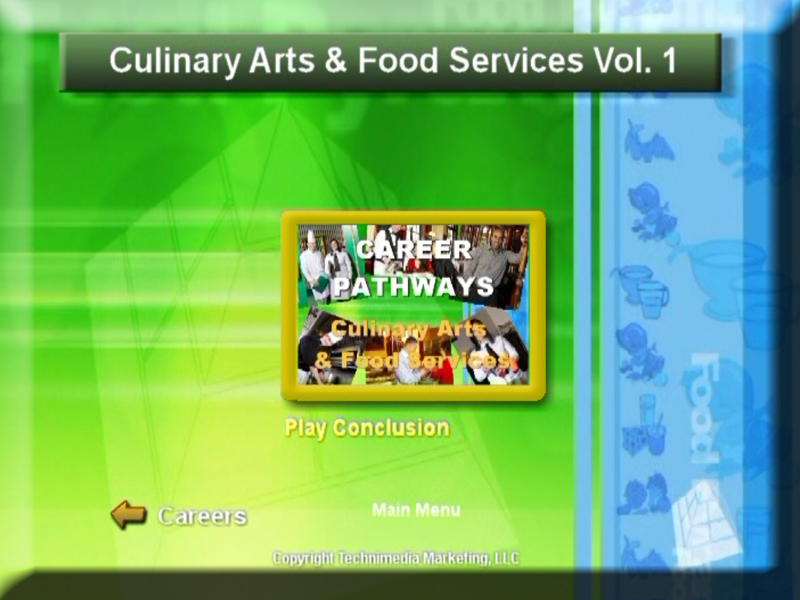 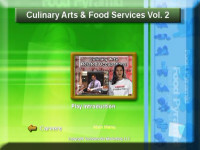 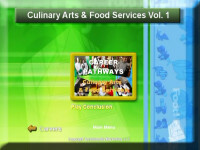 This two volume DVD video set, Volume 1 (32-minutes, and Volume 2 (45-minutes) will help students explore the careers in Culinary Arts & Food Services. 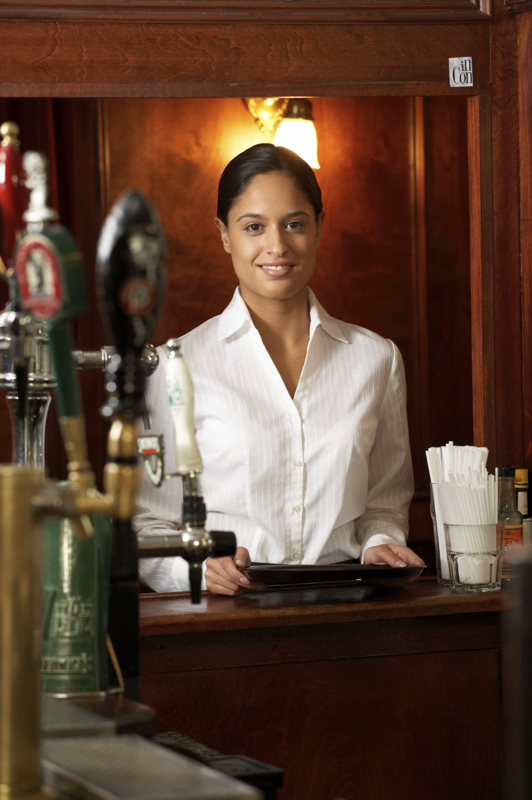 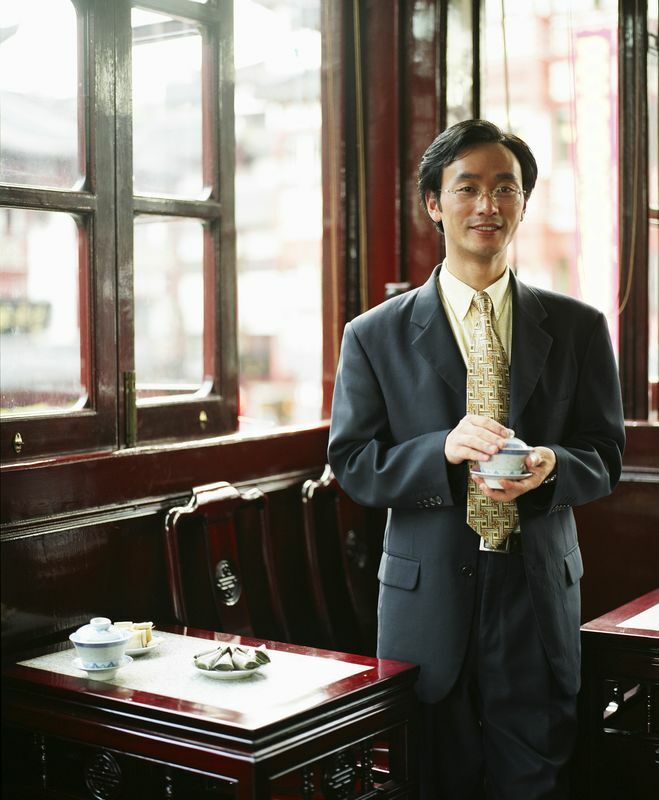 It will provide them with vital information such as: Nature of Work, Working Conditions, Employment, Education, Earnings, and Job Outlook. 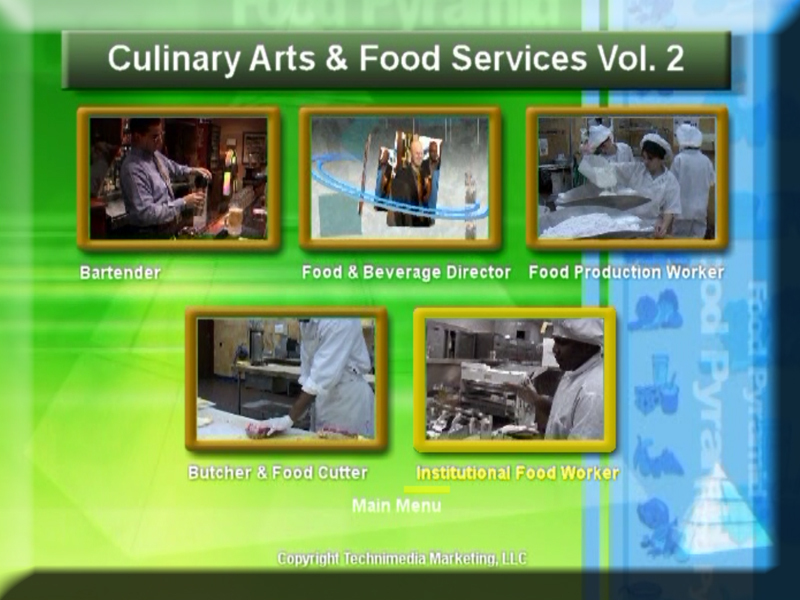 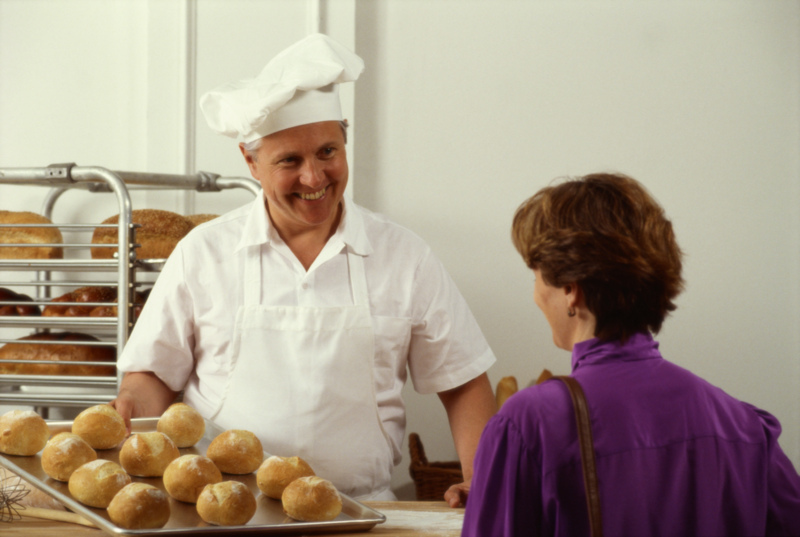 Students will view actual work sites and hear a testimonial given by someone working in the field of Culinary Arts & Food Services. 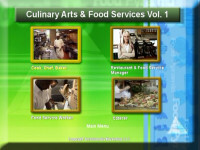 Package includes: (2) DVD’s, Teachers Guide, Lesson Plan, Activity Worksheet and Pre/Post Test. 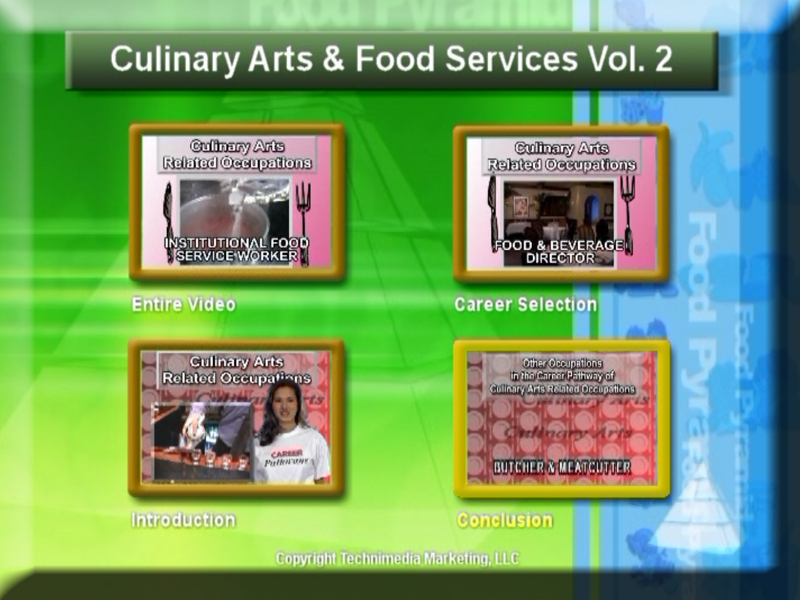 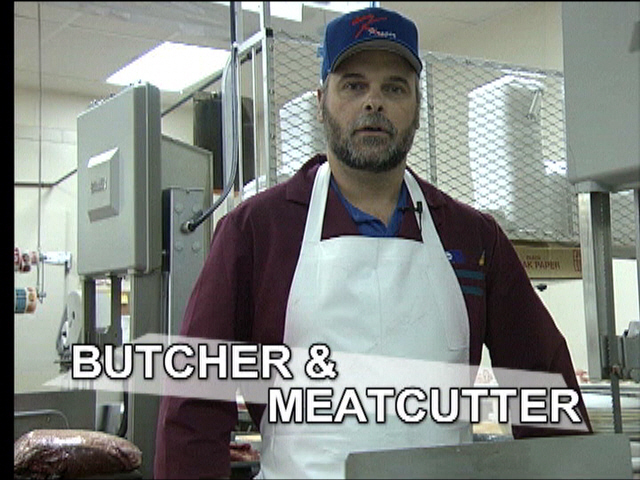 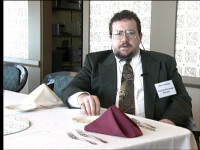 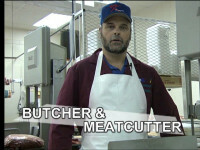 Below are Interactive DVD Screen Shots. 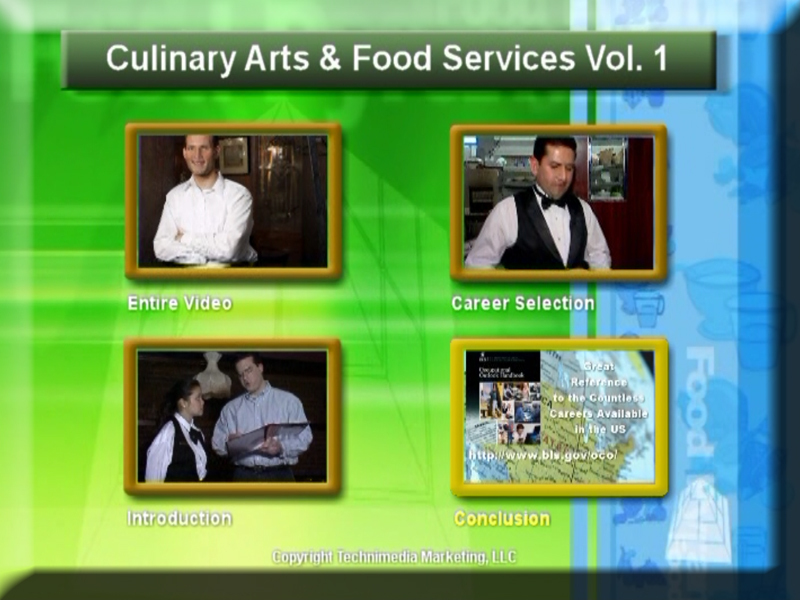 The user clicks on the the video icon to open up a full screen video.